Clear rooms, search under cars, enter dark environments and investigate other high-risk situations with less danger to team member’s lives. SABER is a specialized tactical UAS developed and purpose-built for indoor operations in GPS-denied environments and close quarter battle tactics. 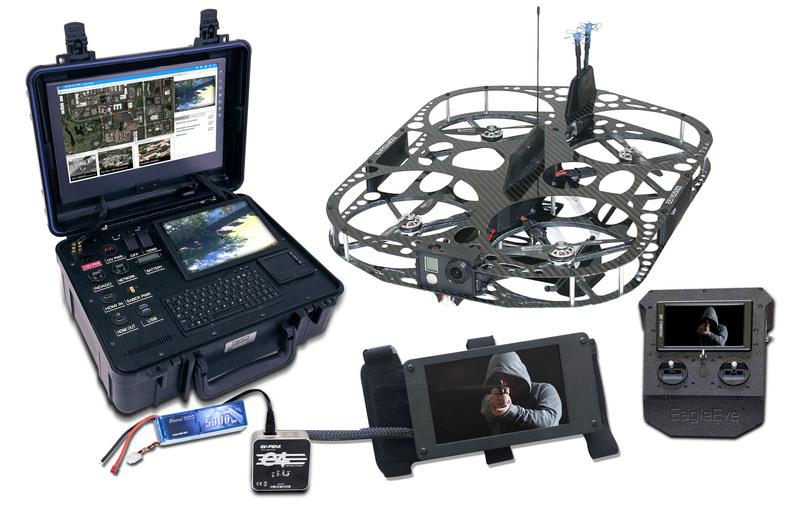 PDP / Portable Deployment Package — Enables secure, real-time connectivity to STRAX® including video distribution. Data links can be customized to meet customer needs.